The superyacht was known as Project Ruya up until her launch last week. Heesen’s 47-metre Project Ruya has been delivered to her experienced American owners and christened Book Ends. The yacht has exterior styling by Omega Architects and a comfortable and modern interior design by Bannenberg & Rowell, centred on the theme of kinetic energy. 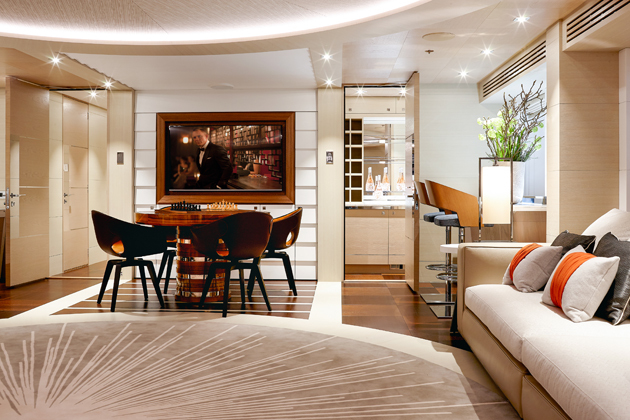 The yacht sleeps 12 guests across five cabins, with a full-beam master forward on the main deck. There is a large table on the bridge deck for al fresco dining and an 85-square-metre sundeck, ideal for entertaining. The yacht is equipped with two MTU diesel engines 8V 4000 M63 and reached 15.6 knots top speed on her sea trials. The yacht has a range of 4,000 nautical miles at 12 knots. Book Ends will spend the summer season in the Mediterranean before crossing the Atlantic in time to attend the Fort Lauderdale International Boat Show in early November.